Reminiscent of retro Las Vegas, this restaurant integrates newcomers into its circle of loyal fans. 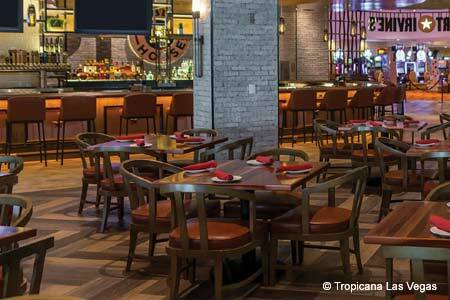 : Across Flamingo Road from Bally's Las Vegas, this mainstay restaurant serves 600 meals each weeknight, and 900 on the weekends. The lounge and dining room walls sport posters, decorative plates and memorabilia from the early days of Las Vegas, which include autographed photos of the celebs who have dined here. Complimentary garlic bread and carafes of Chablis and Burgundy wines accompany complete dinners that begin with an Italian salad or piping hot minestrone soup prepared by the gallon and served tableside from a tureen. Entrées range from a variety of pastas to chicken, steak, veal and seafood preparations. Cappuccino completes the feast. A singing accordionist entertains nightly.